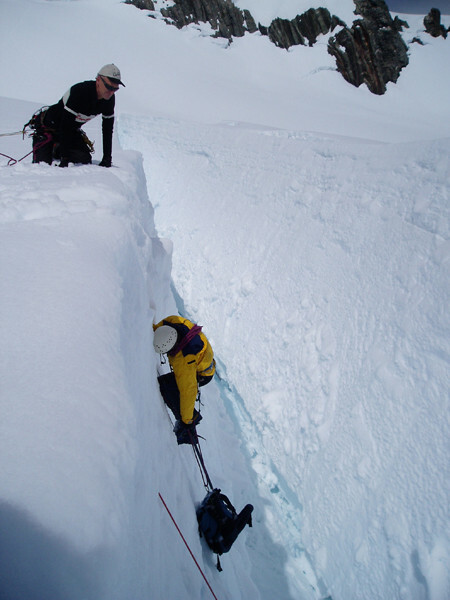 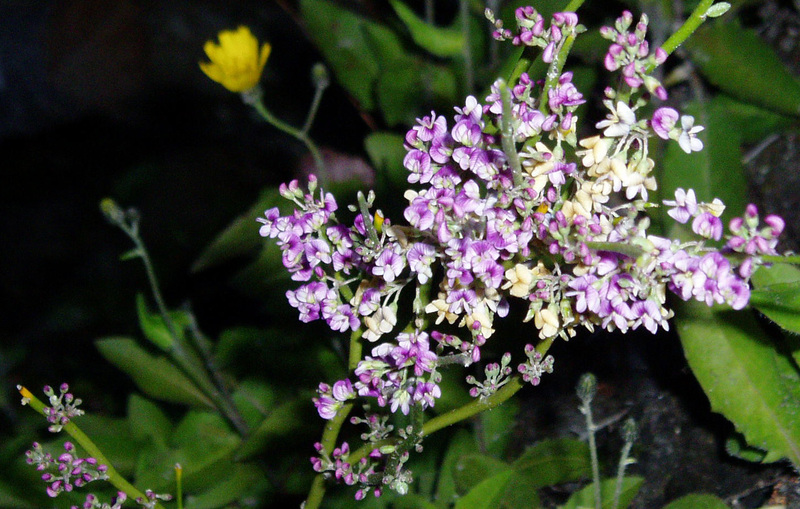 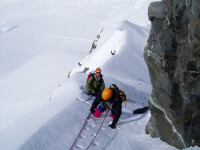 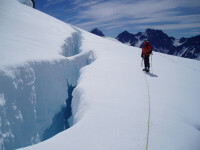 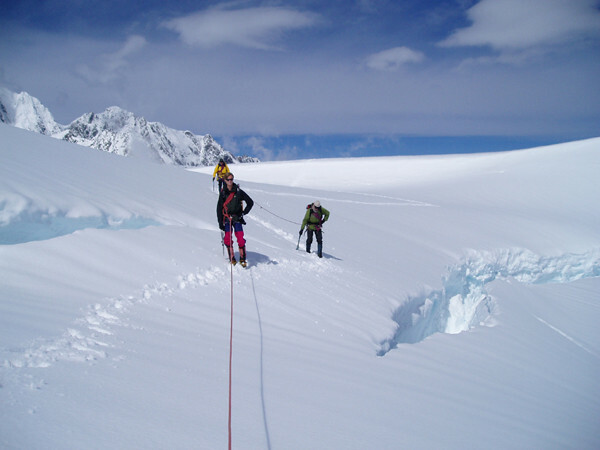 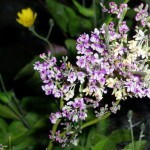 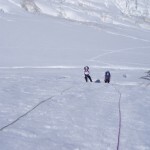 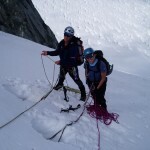 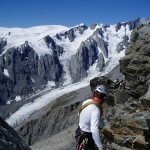 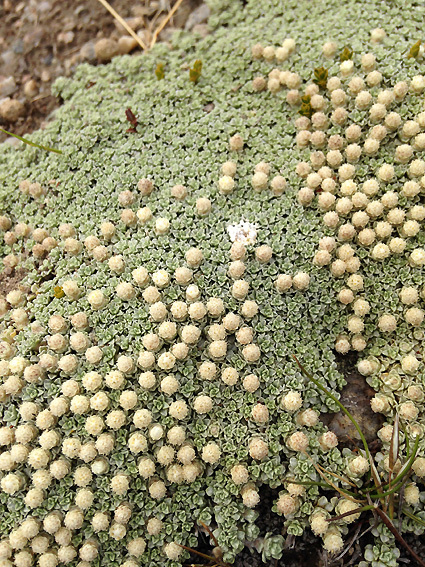 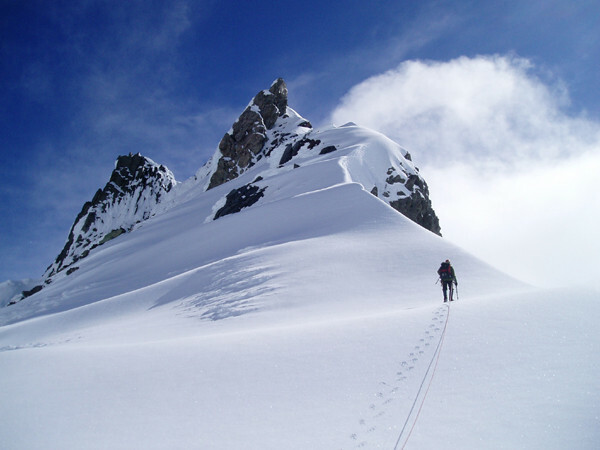 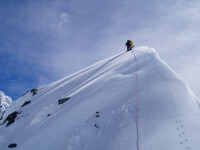 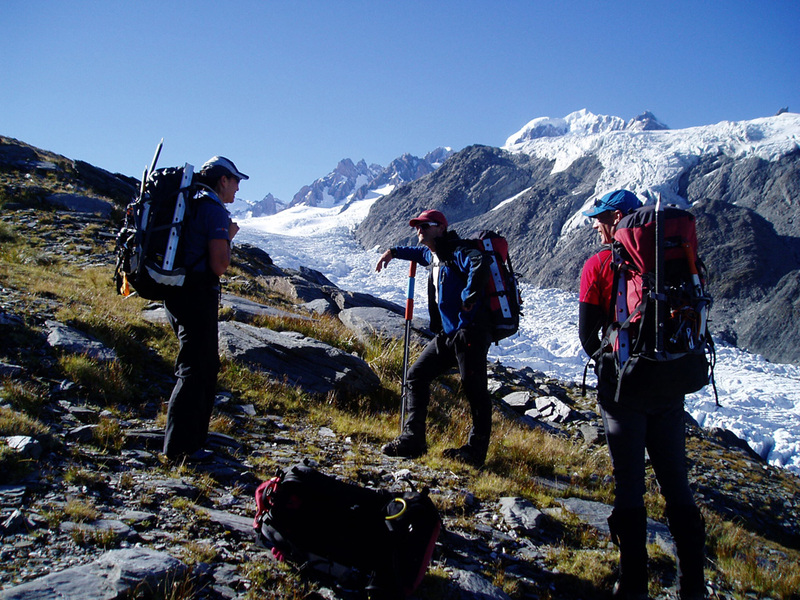 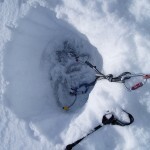 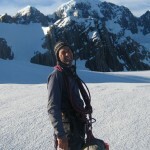 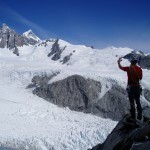 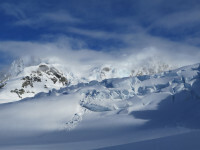 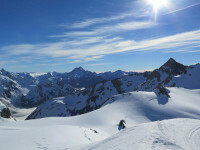 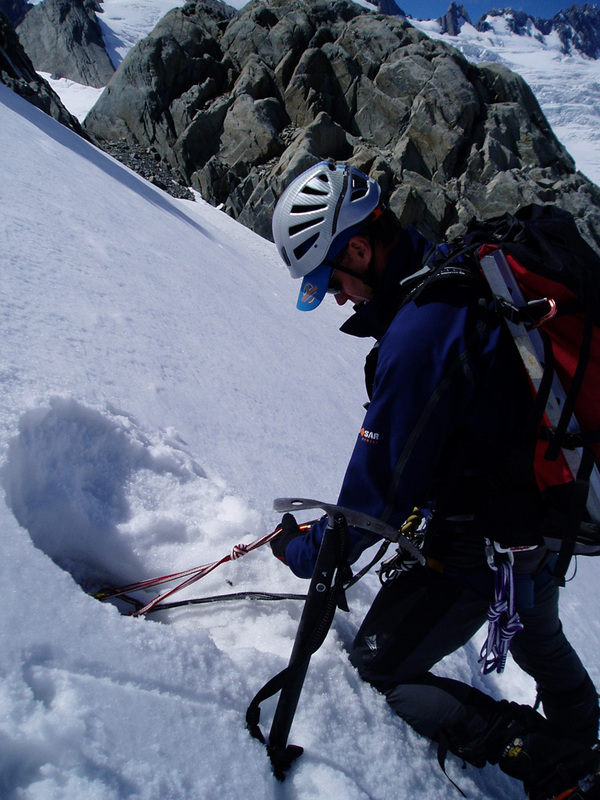 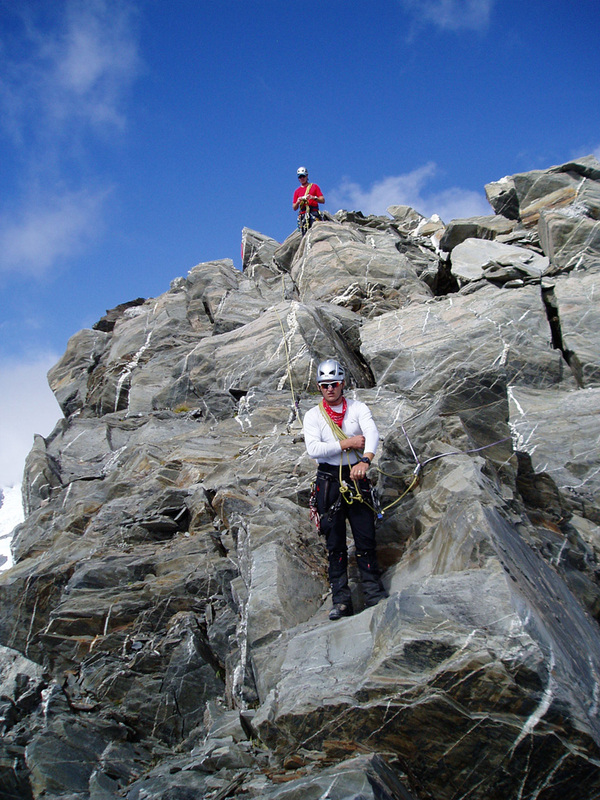 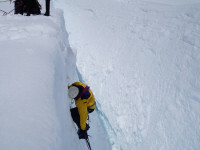 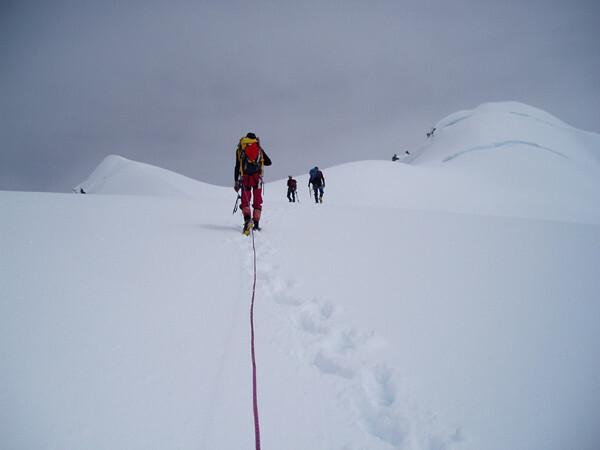 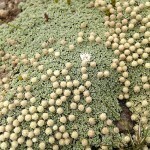 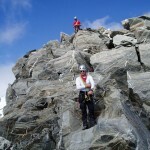 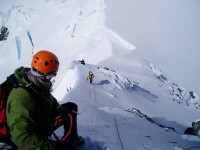 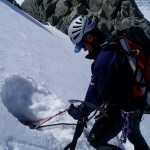 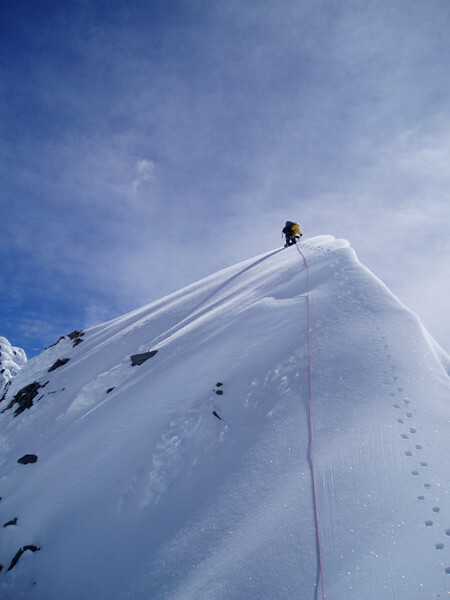 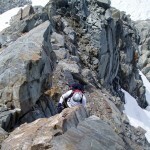 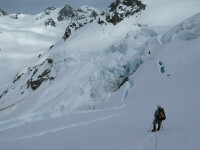 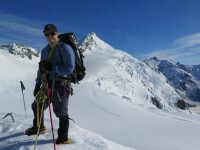 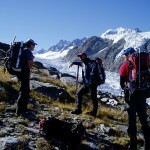 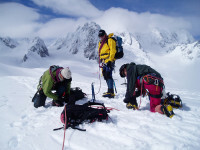 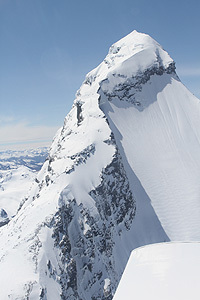 Late March, Mountain guide Gaz did a trip into the Aspiring region with a client from Alpine Guides. 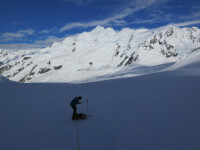 Glacier conditions where pretty reasonable – a result of the many storms during the summer putting down little bits of snow which has kept the glaciers in reasonable nick making for good mountain guiding conditions. 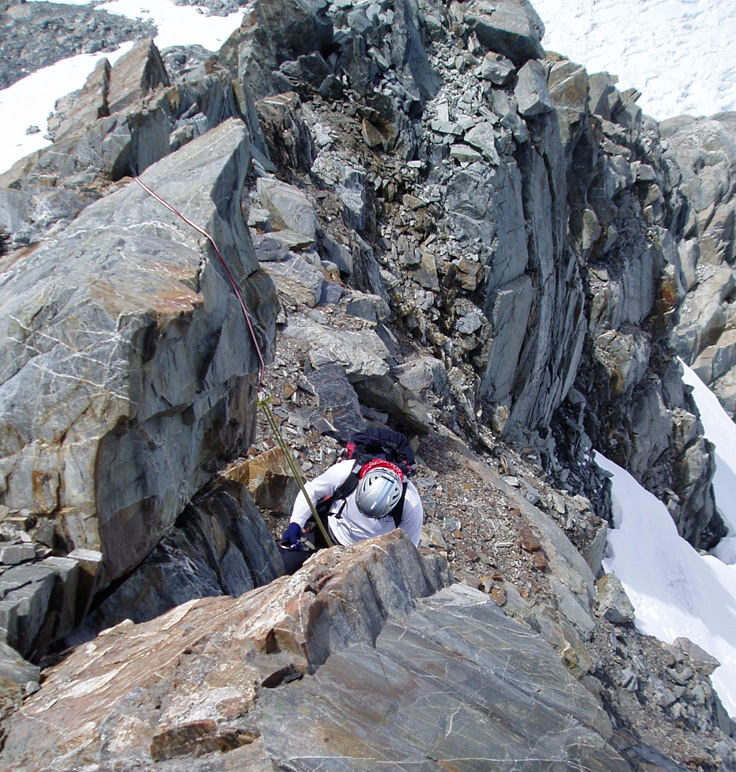 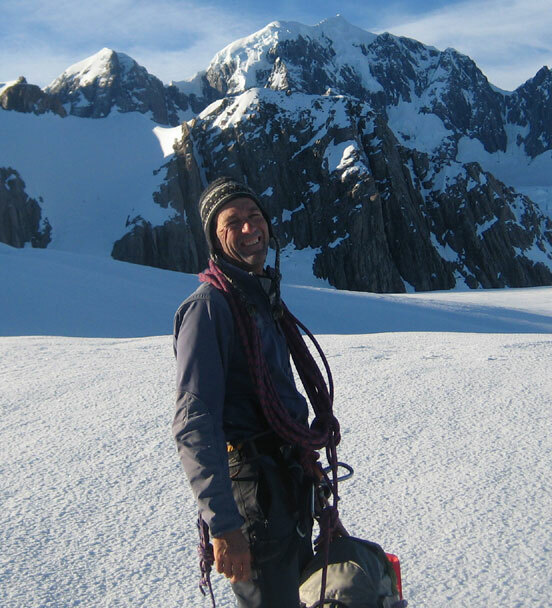 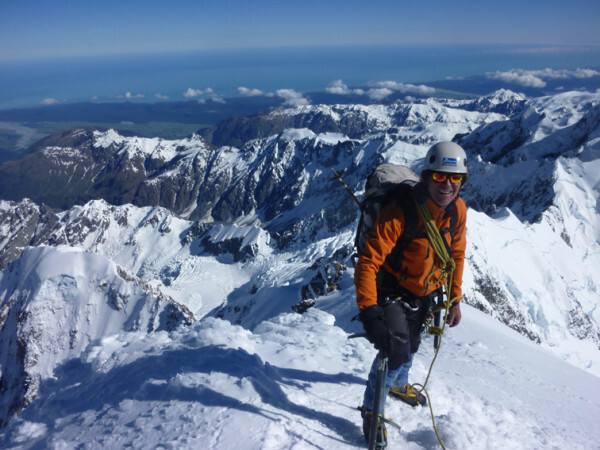 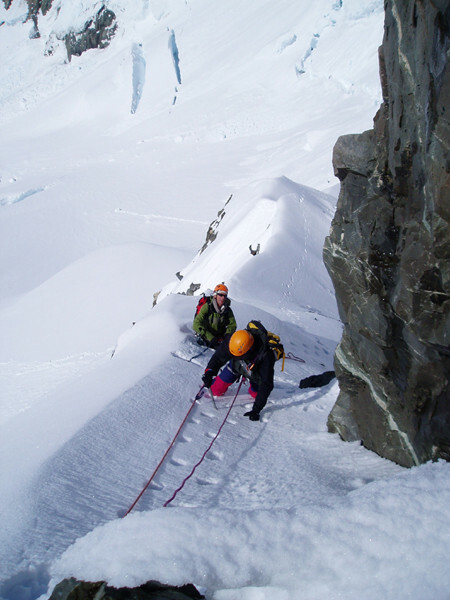 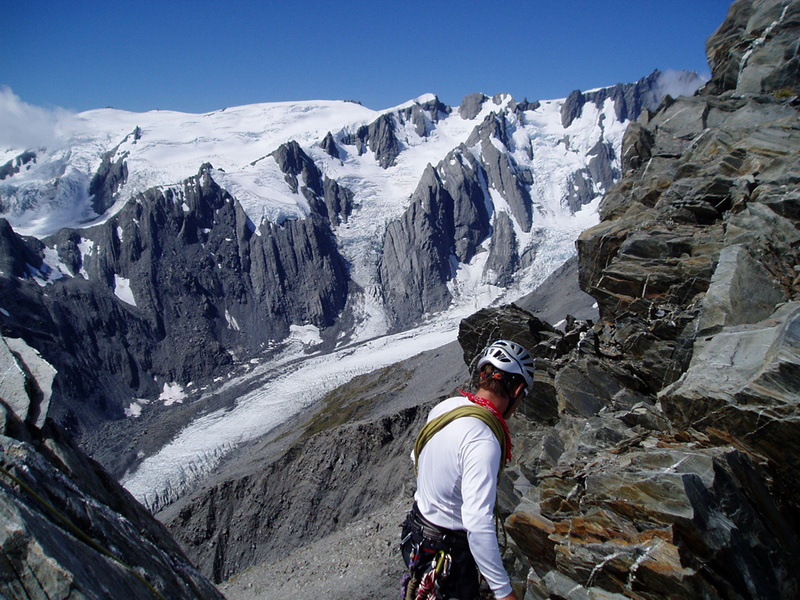 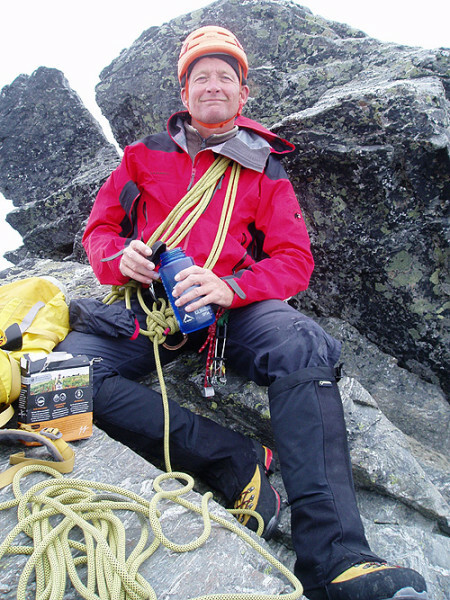 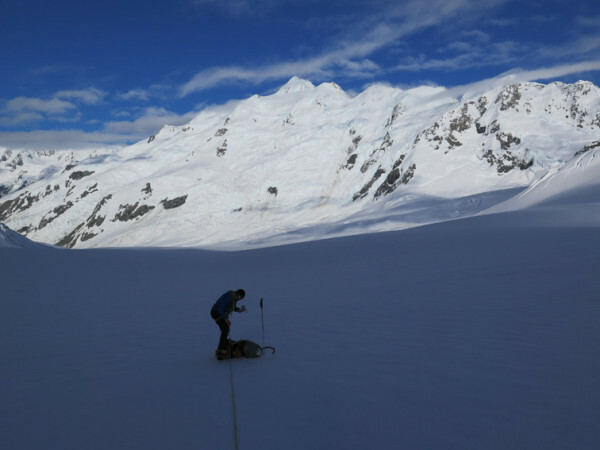 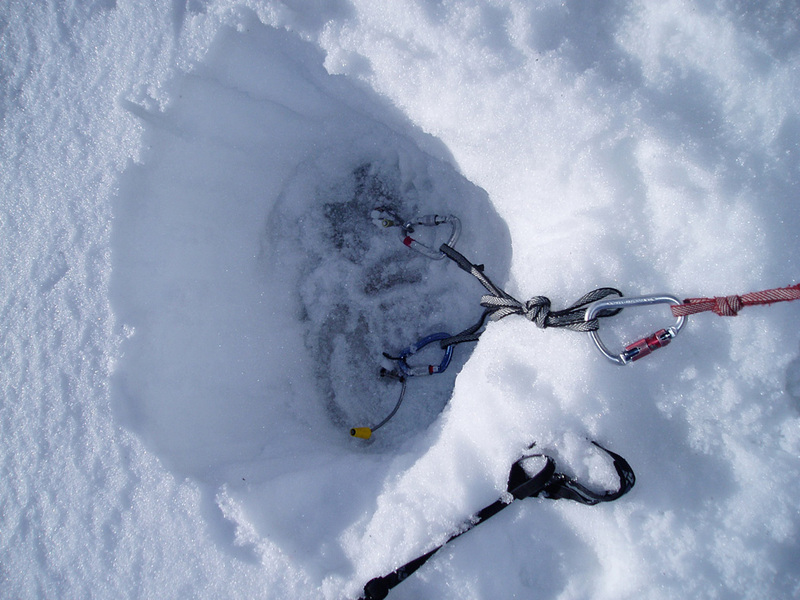 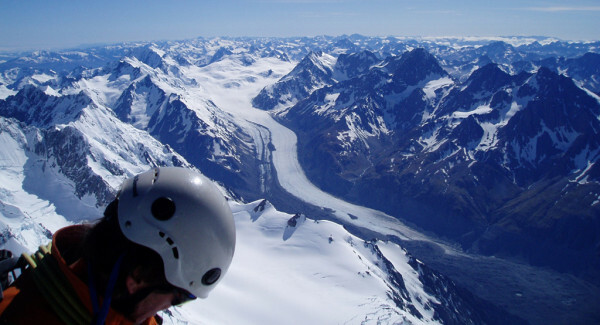 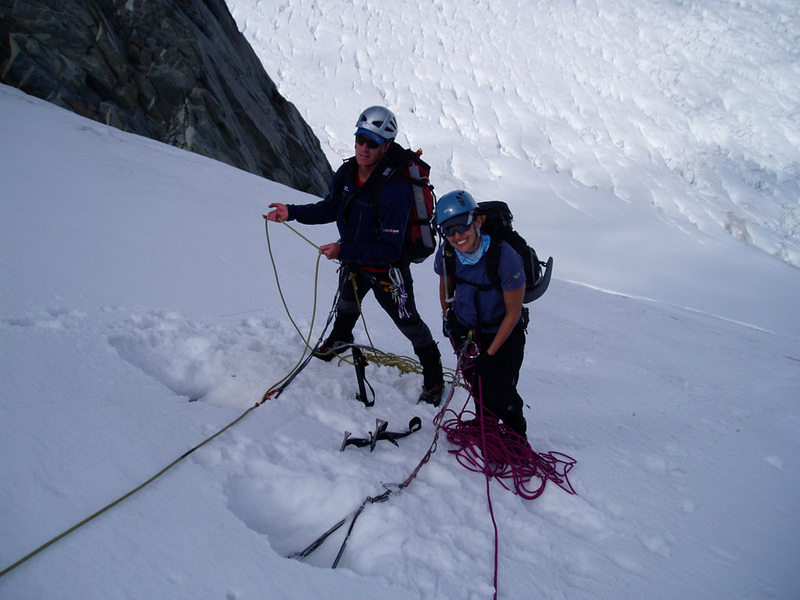 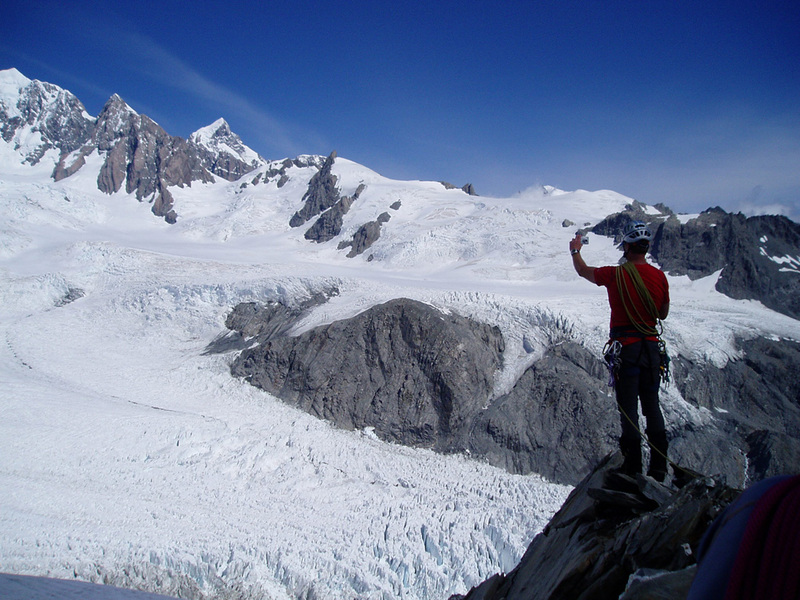 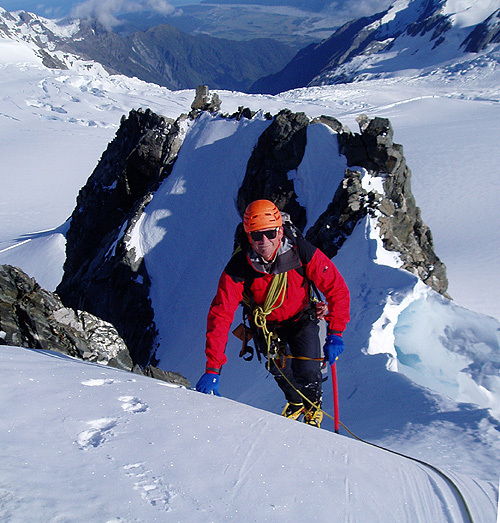 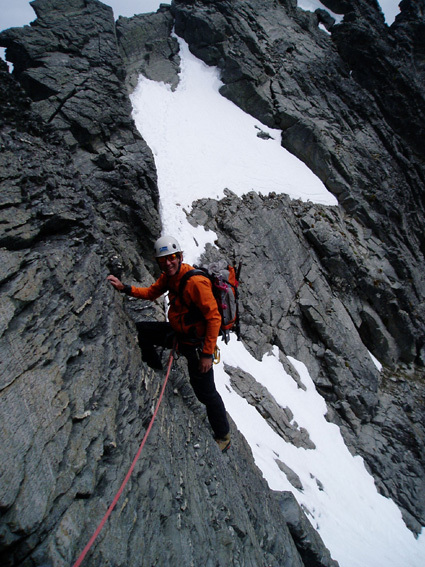 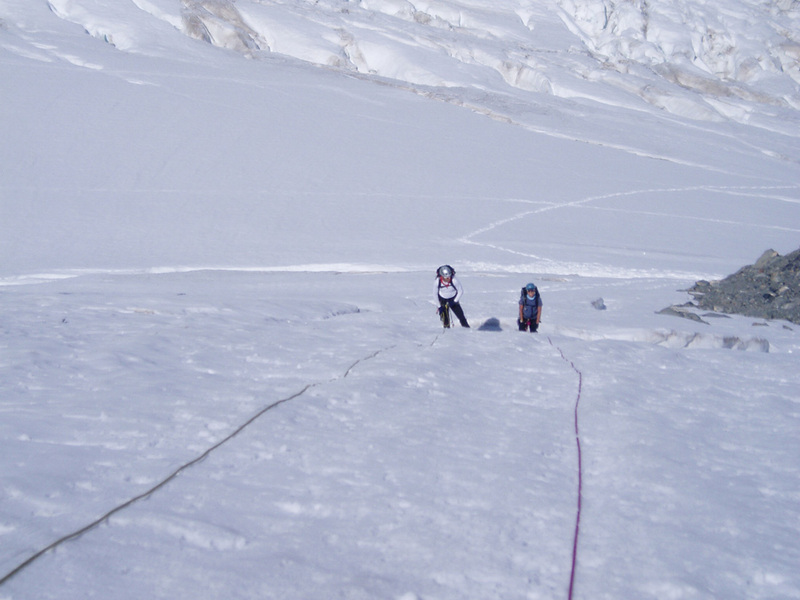 2014 ended with Gary taking Simon from the UK on for a guided climb of Mt Cook. 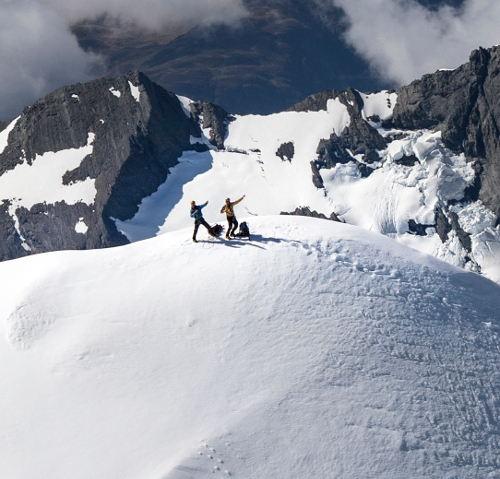 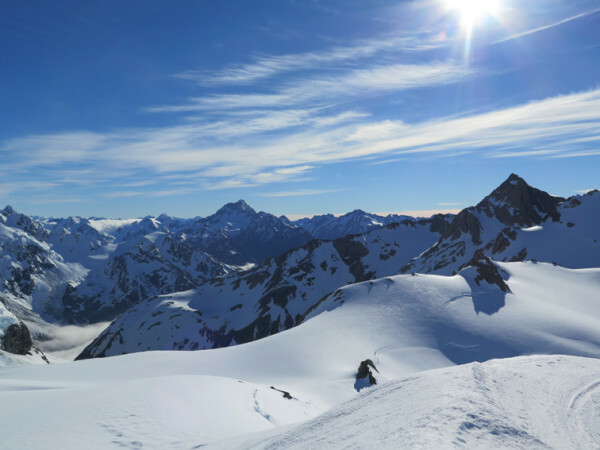 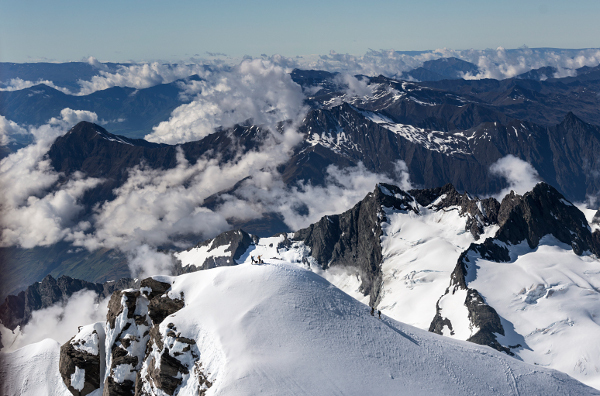 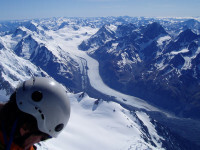 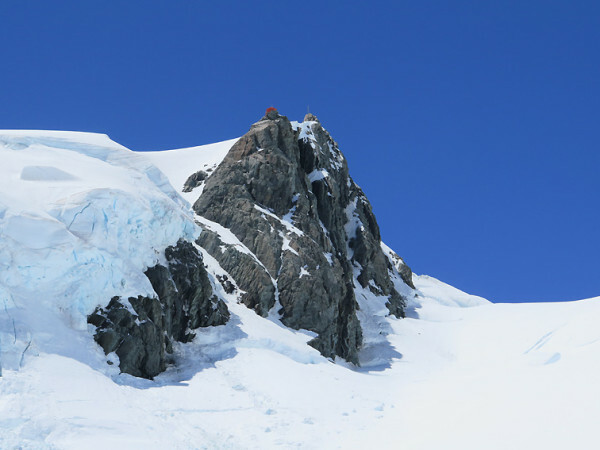 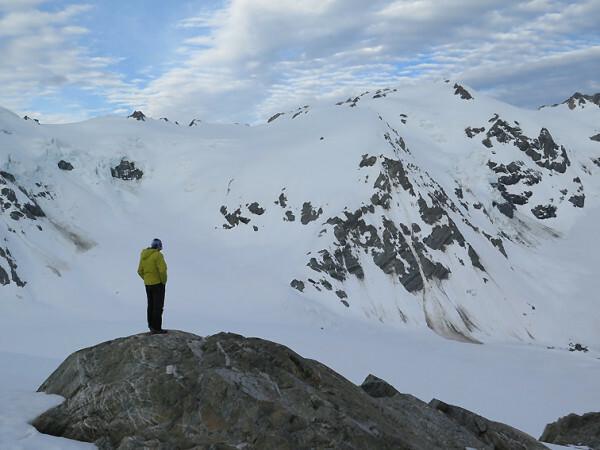 Simon and his wife Jacki had planned eight days based at the Alpinism & Ski studio with the plan for Gary and him to ultimately go for the ascent our New Zealand’s highest peak. 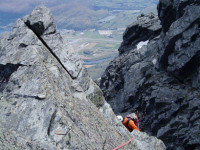 A training ‘exercise’ was a day out on the Remarkables for the classic and beautiful alpine traverse of Single and Double Cones. 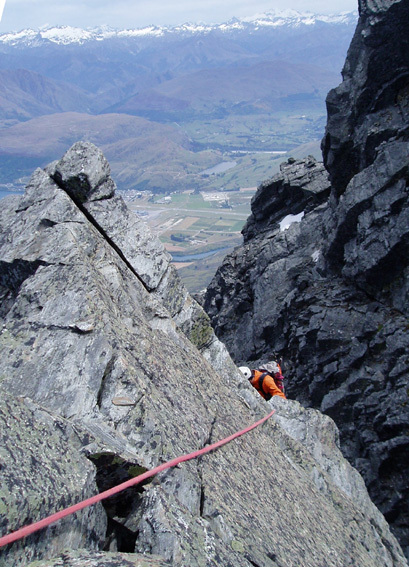 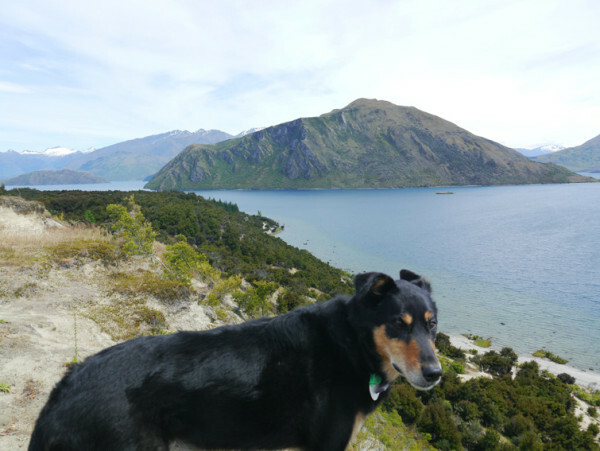 Stunning views, great rock formation, excellent climbing and just simply an awesome day out. The team had some ‘weather issues’, and we all enjoyed a wine tour in the area too. 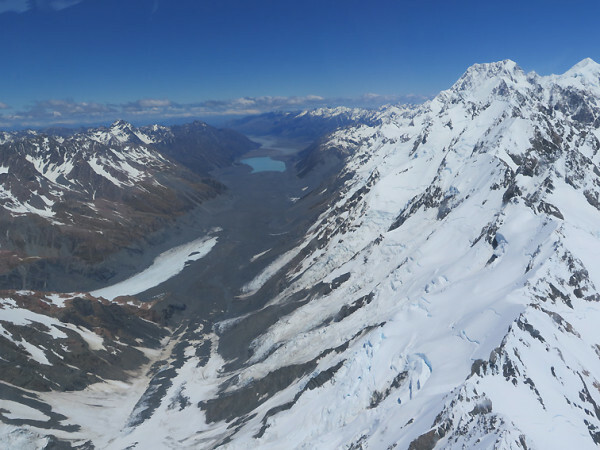 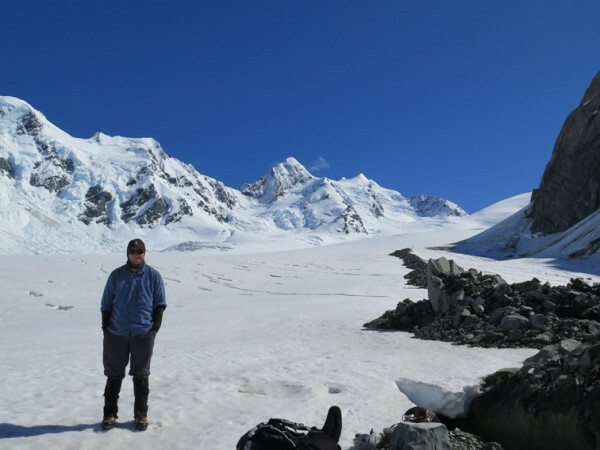 But they finally were able to fly to Plateau hut and stood on the summit of Aoraki -Mt Cook (on his shoulder only of course:-) just a day before Christmas. 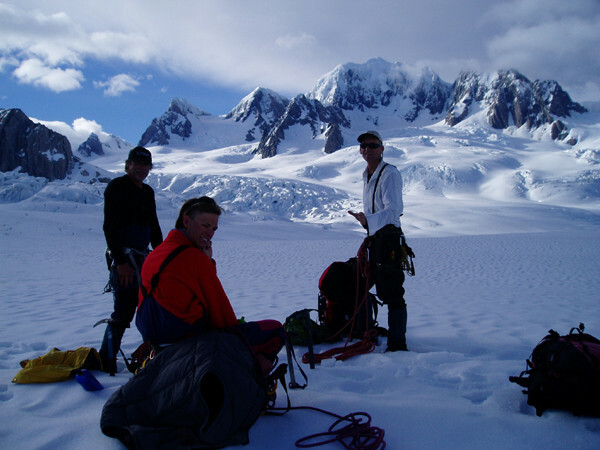 Meanwhile at the base in Wanaka, preparations were going on for a xmas roast and welcome back for the blokes as well as some packing up and we saw our wonderful visitors off on further travels towards the Westcoast. Mountaineer Matt from Australia came back for a Pure Alpinism week in the Southern Alps and we were very happy to have IFMGA mountain guide Nico available as chief Gaz was booked already. 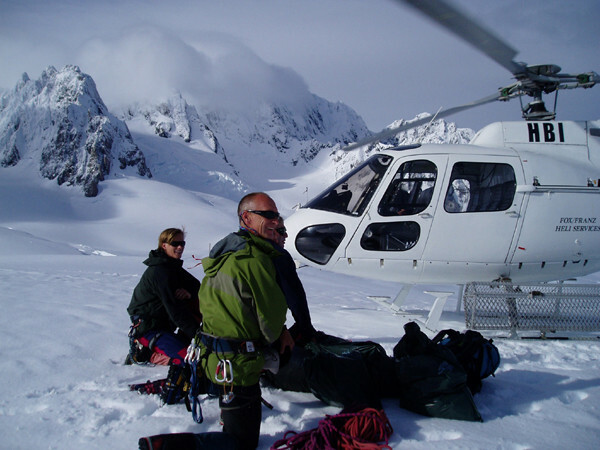 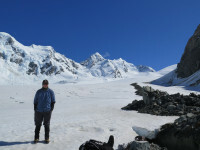 Matt and Nico flew from Mt Cook village to Murchison hut, their base for the first few days of guided mountaineering in NZ. 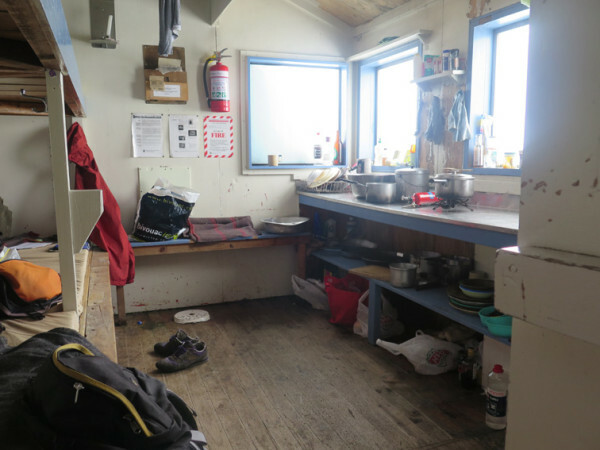 The adventures started with very nice weather but the next front was on them mid week and bunk bashing aka being hut bound happened, providing time to rest and read. 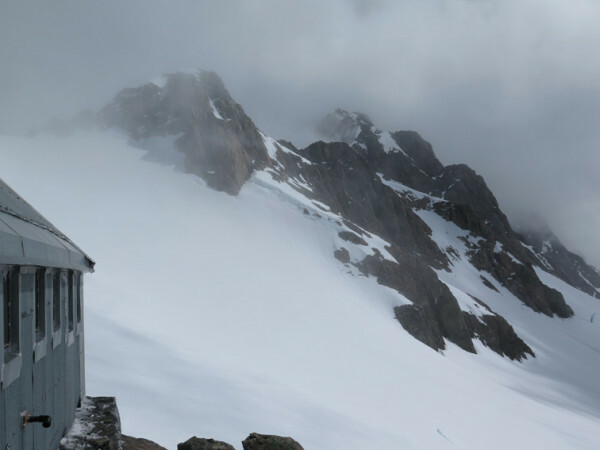 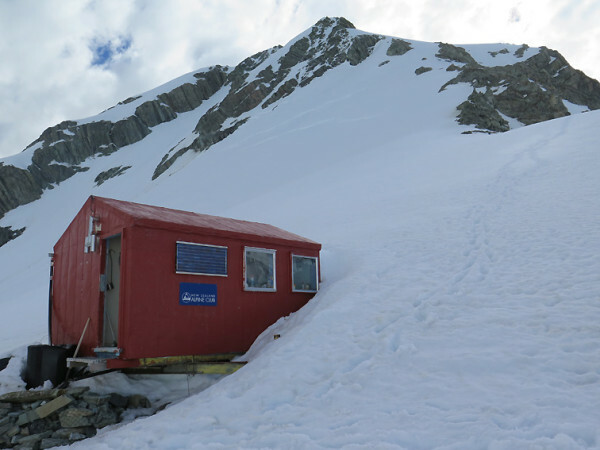 The team relocated from Murchison hut to Tasman Saddle hut towards the end of the week and sun and blue skies were back again to finish off in style. 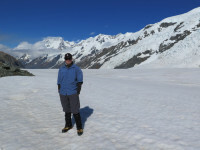 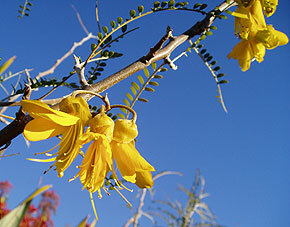 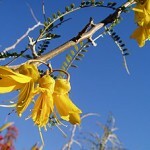 Thanks Matt for the use of your photos and your feedback in the guestbook too!